Maradentro opened in Studio City this week. There’s some serious food momentum in Studio City. Adding to its existing list of local favorites, the booming San Fernando Valley neighborhood recently scored Barrel & Ashes, Joan’s on Third, and The Gadarene Swine. And on Tuesday, Maradentro, the latest potential hot spot to hit Ventura Boulevard, opened. 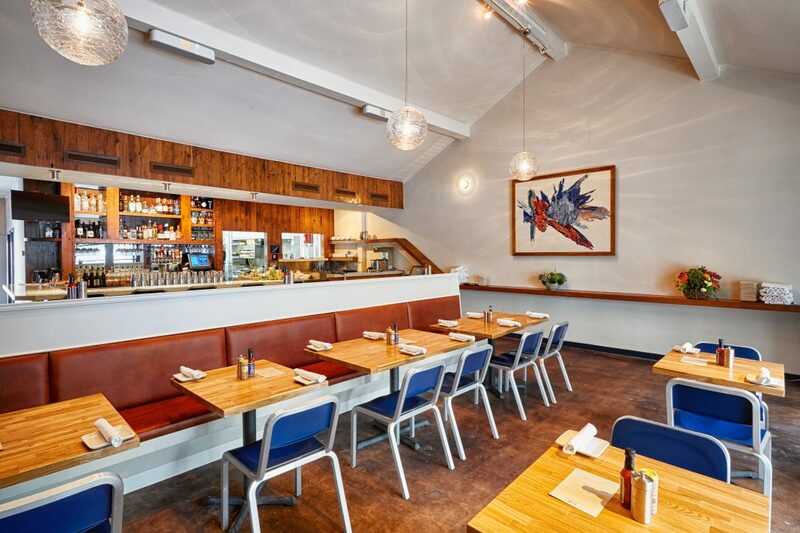 This is the first of two planned outposts (the second will be in Eagle Rock) for the new mariscos concept from executive chef Jose Acevedo and restaurateur Jesse Gomez, whose partnership previously brought us Mercado. The menu for what Gomez calls “a new-school Mexican seafood place” mixes traditional ingredients and new flavors, including starters like lobster guacamole; a play on Oysters Rockefeller dubbed Oysters Rajafeller done with spinach, rajas poblanas, and queso añejo; and Crabiqueso, a crustacean-ized version of Mercado’s mouth-watering Choriqueso—yes, chorizo is still involved. Main dishes include Fideo del Mar, seafood-topped linguini with veggies, queso cotija, and chipotle cream, plus steak and lobster tacos. For those who don’t do seafood, the chef’s popular carnitas are also available. Acevedo thinks that the chile relleno, filled with shrimp, scallops, mussels, whitefish, and clams, will be a customer favorite. When asked why so many new Mexican restaurants are veering away from the heavier, cheese-laden combination plates that have come to be associated with the term “Mexican food” in L.A., Gomez says that the change has a lot to do with the availability of fresh ingredients. The cocktail program, directed by lead bartender Cesar Arenas, is also creative. The Maradentro Margarita is a blue-green drink inspired by Gomez asking Arenas for a margarita that “looked like the ocean.” There’s also the tequila-and-tamarind-infused Tamarindo Tea, and the SMP with shishito pepper, mango, and pisco. A sizable selection of beer and wine, including a draft chardonnay, are available, too. Previous articleCine-Mini: Isn’t this tiny Cinerama Dome adorable?